According to the CDC, emergency departments treat more than 200,000 children ages 14 and younger for playground-related injuries costing on average $1.2 billion each year. My own experience tells me it probably happens more than the numbers show. Many children get home based care with ice and over the counter medicines. In my own family, we have had cut feet (glass in the park), cut cheek (stitched in ER), scooter hit in back of head (stitched in head), golf club to the head (ice at home), fall off monkey bars (ice and motrin), and on and on. Sometimes the circumstances produce a decision to go immediately for care, and sometimes it's a wait and see. Play safely. Check to make sure playground equipment your child uses is properly designed and maintained and there’s a safe, soft landing surface below. Supervision is key. Supervise young children at all times around fall hazards, such as stairs and playground equipment, whether you’re at home or out to play. 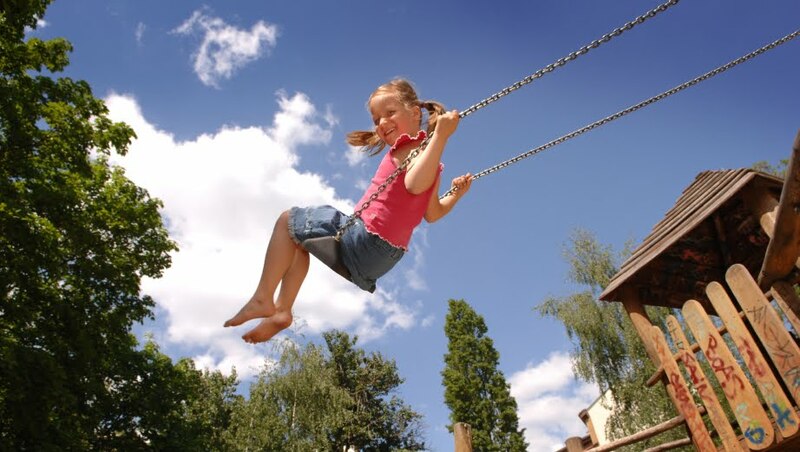 Do you have any experience with playground injuries? Do you think the 200,000 annually represents injuries on U.S. playgrounds? That is the reason I always prefer indoor playground facilities for my son, and fortunately he likes soft play equipment more (as they less chances for a child to get injured).